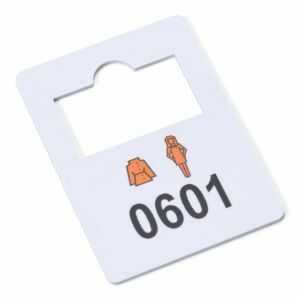 You can order high quality pre-printed paper and plastic cloakroom numbers here, available in different number series and complete sets. 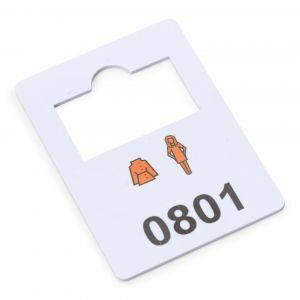 Did you order before 6:30 PM? 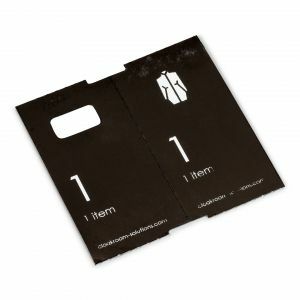 Then the order is sent the same day. In our range we offer one-off paper cloakroom numbers and reusable plastic cloakroom numbers. 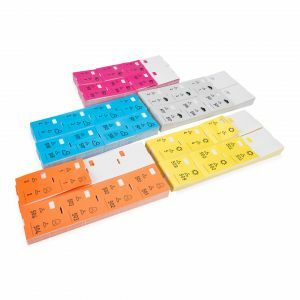 The paper number blocks are available in different colours per thousand pieces. 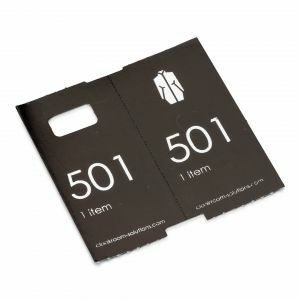 You can also opt for deluxe black cloakroom numbers. After use, the numbers belonging to each other have been torn apart and can no longer easily be used for the next event. 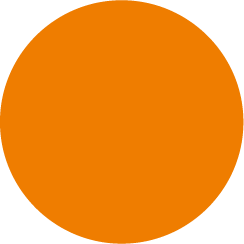 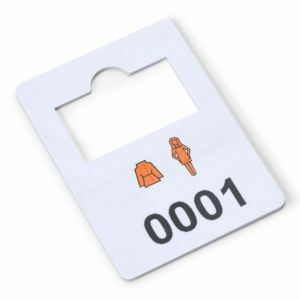 The plastic tokens are of high-quality plastic and are reusable. 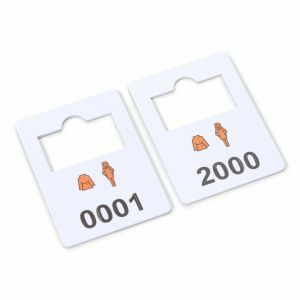 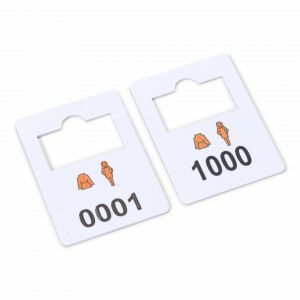 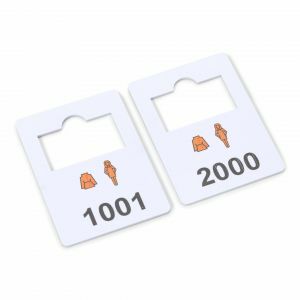 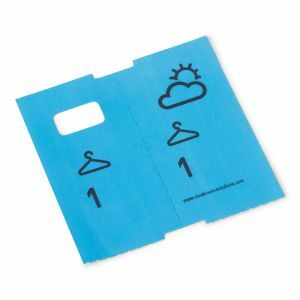 These reusable cloakroom tokens can also be ordered in separate number series so that, after the cloakroom has been expanded, an additional range can be purchased. 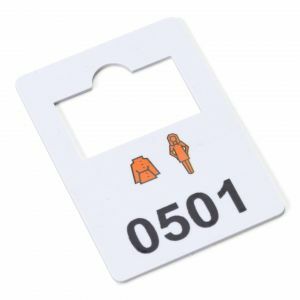 The plastic numbers are delivered in singular. 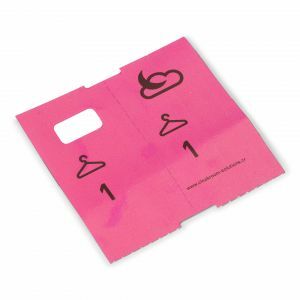 If you want a copy at the coat hanger and one to give to the customer, you must order the numbers in duplicate. 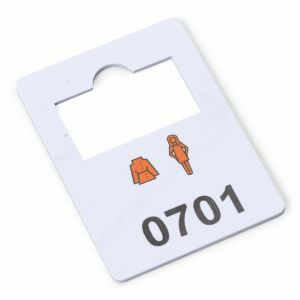 Why use pre-printed cloakroom numbers and luggage tags? 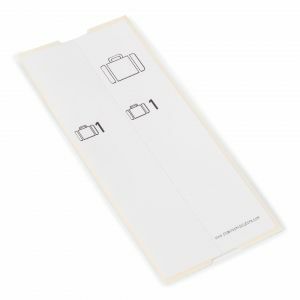 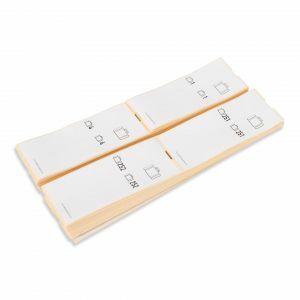 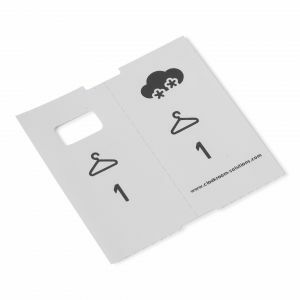 Pre-printed cloakroom numbers and luggage tags are ideal if you are organising a one-off event and do not want to invest in a Coatcheck OneFive ticket printer. 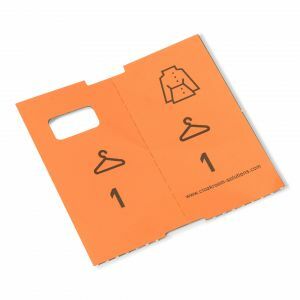 By making use of our cloakroom tokens you divide the cloakroom conveniently and jackets and bags can be hung up and returned to the customer faster. 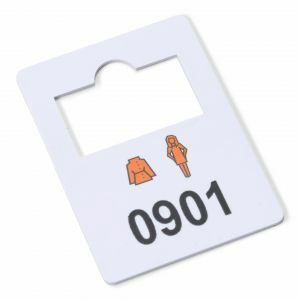 Do you use cloakroom numbers more often? 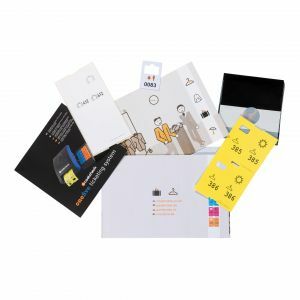 Then we advise you to invest in one of our ticket printers. We have all cloakroom numbers in stock at all times and if you place the order before 6:30 PM the order will be sent the same day (without extra costs). 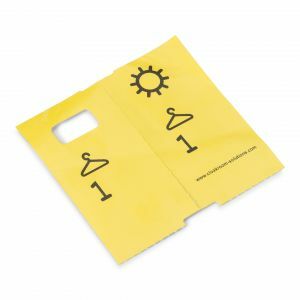 Ideal for last-minute solutions for your cloakroom. 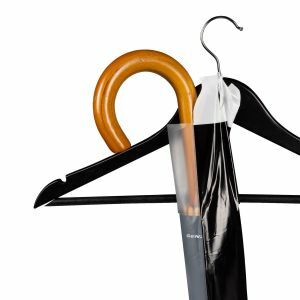 Tips & tricks for your cloakroom!